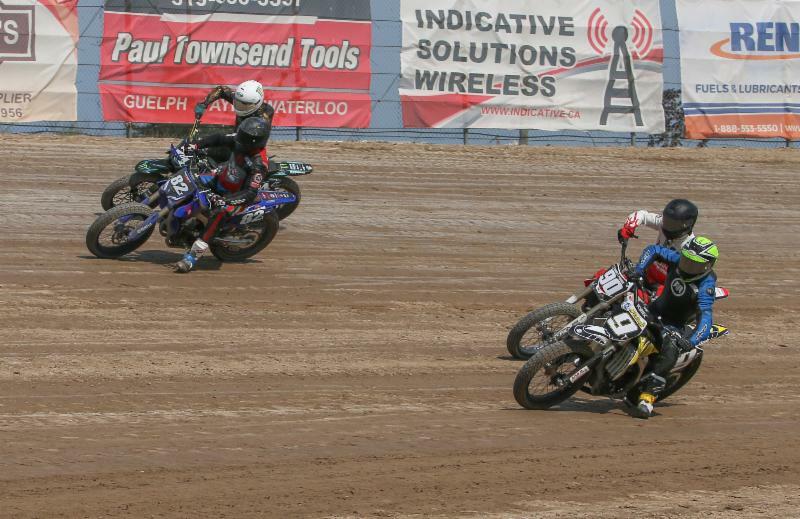 Ohsweken Speedway played host to round six of the Harley Davidson Canada flat track series presented by Parts Canada. It was a scorcher of a night and the races were hot as well as fans in attendance along with those enjoying the live stream were treated to some incredible action. 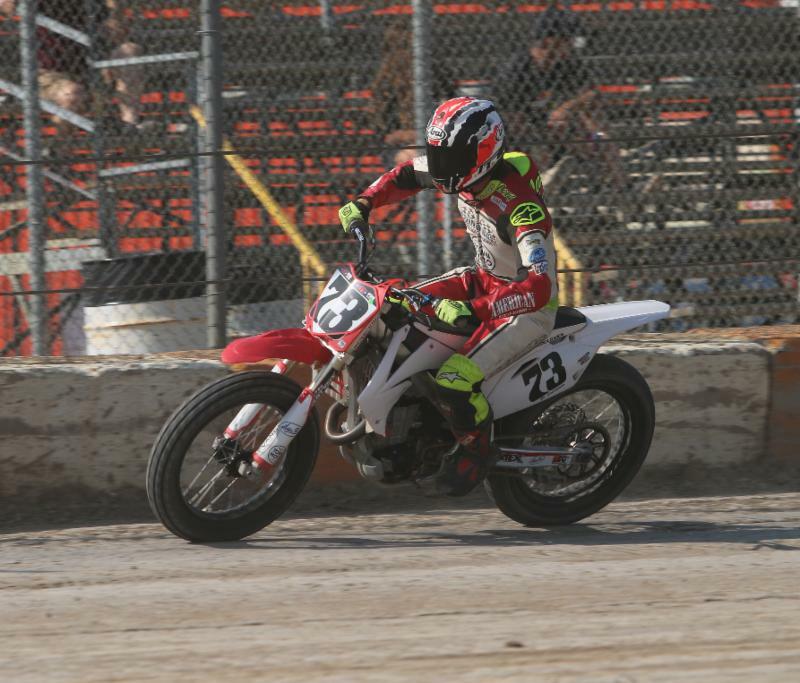 Former Flat Track Canada Champion Doug Lawrence was making a rare 2018 appearance and was looking to continue his winning streak at Ohsweken after taking the checkers last season. 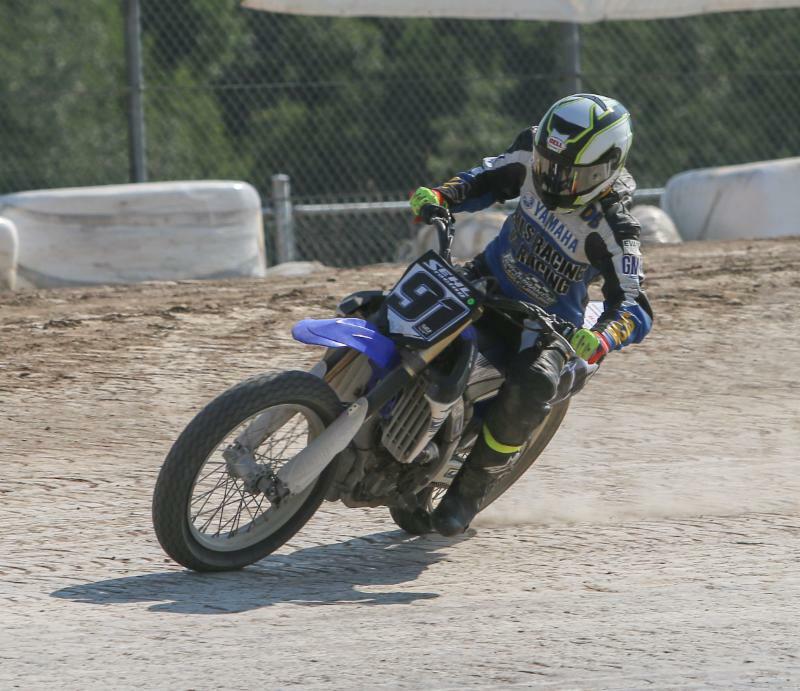 Expert DTX action was first on the menu and when the lights flashed green it was the 91 of Dustin Brown grabbing the hole shot on the Sehl Racing Yamaha. 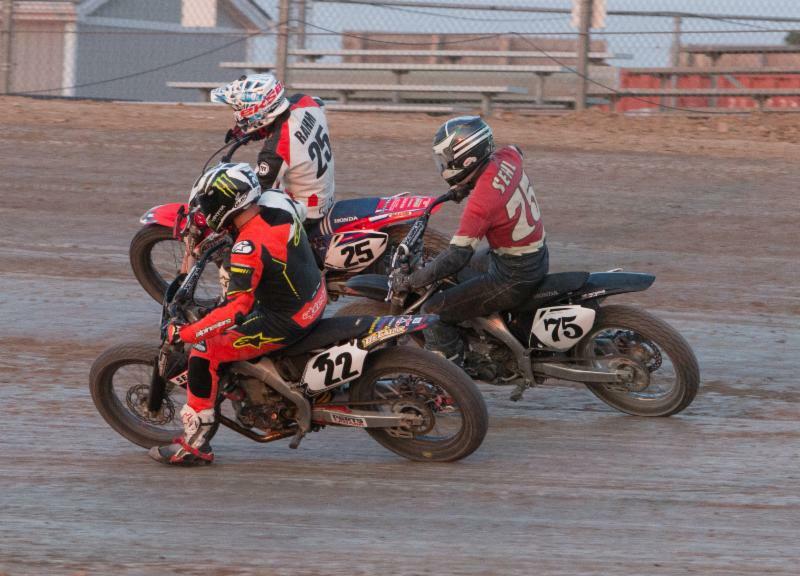 Brown’s lead was short lived however as entering turn three on the first lap Lawrence made his way past for the lead. Lap two saw a pack go three wide into turn one and when it was sorted out Tyler Seguin made an inside move stick as he took over third place. Lawrence held the lead for the remainder of the race and at the checkered flag the top three were Lawrence, Brown and Seguin. Much like the week before in Flamboro, the Dash for Cash had to be restarted after Dave Pouliot was caught for a jump start. With Pouliot starting from row two the field took the green and Brown used a very low line to lead the field through turns one and two. Once again Brown didn’t have long to enjoy his lead as both Lawrence and Pouliot made their way around him in the entrance to turn three. Matt Sehl was enjoying a great night at Ohsweken and he was the next one to make his way past Brown as he made his move as they excited turn four. 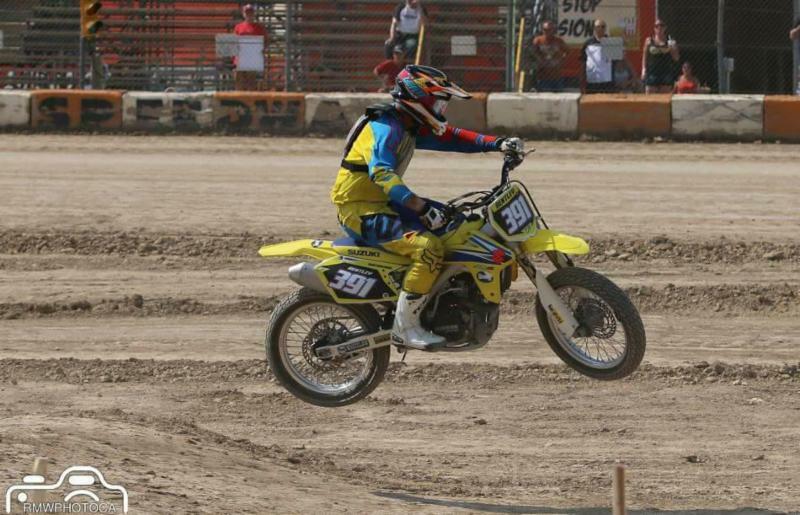 Despite almost coming off the bike in turns three and four on lap two, Pouliot kept his JPR machine upright and would take the checkers in second place behind Lawrence and ahead of Sehl. 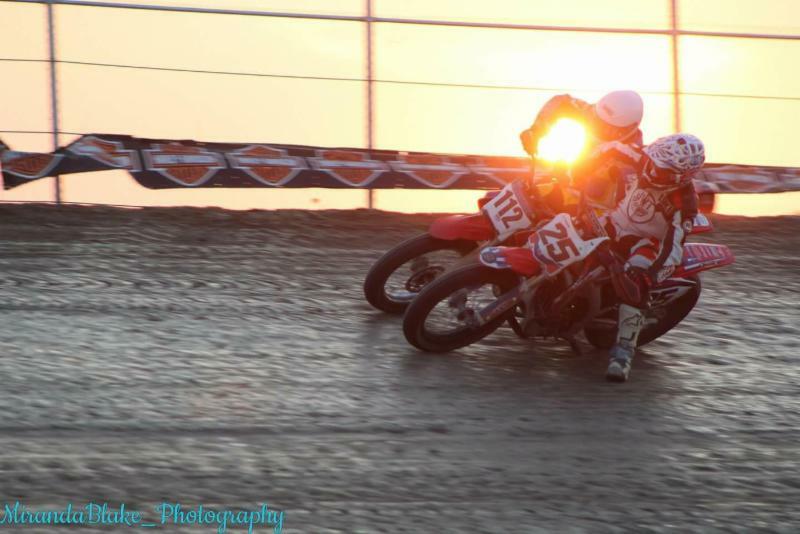 Race of the night was the Open Expert final as fans were treated to some incredible wheel to wheel action. Brown made it three for three on the night with hole shots as he once again used a very low line through one and two to lead the charge on the first lap. Sehl held onto second briefly but lap two saw Pouliot make his way past Sehl and Lawrence was quick to follow. Two laps later Lawrence got around Pouliot and set off after Brown who had a bit of a gap on second place. It took until lap 10 but Lawrence finally took a run at Brown going into turn one to make an inside pass for the lead. Lawrence no doubt thought he would be free and clear at this point but Brown had other ideas. The two riders spent the next three laps side by side with Brown nearly scraping the wall up top and Lawrence right beside him on the inside. Three laps in a row they crossed the finish line at the same time and during the battle Brown briefly grabbed the lead again on the entrance into turn three. Less than half a lap later Lawrence put some distance between him and Brown as they excited turn two and this proved to be the decisive move as Lawrence took the well-earned victory ahead of Brown and Pouliot. 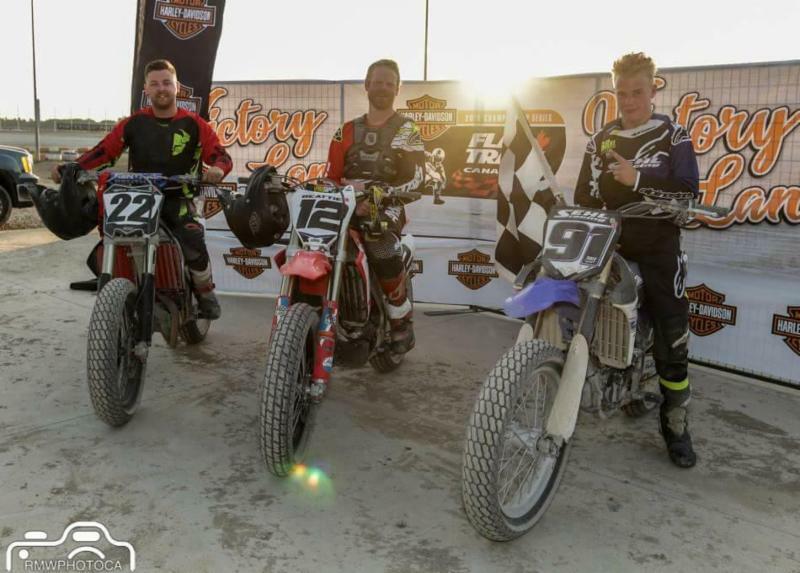 Jimmy “The Jet” McCullough was the man to beat in Intermediate action as he went two for two on the night, while Boyd Deadman and Taia Little both took a victory in the Novice ranks. 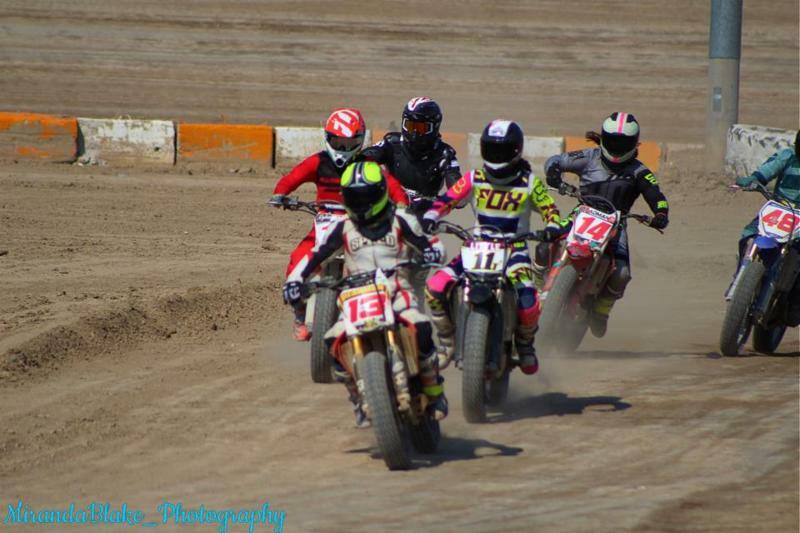 The Novice Open race saw female riders sweep the podium as Little took the victory ahead of Dylan Biekx and Teagan Deadman. To watch the full live stream, check it out HERE. 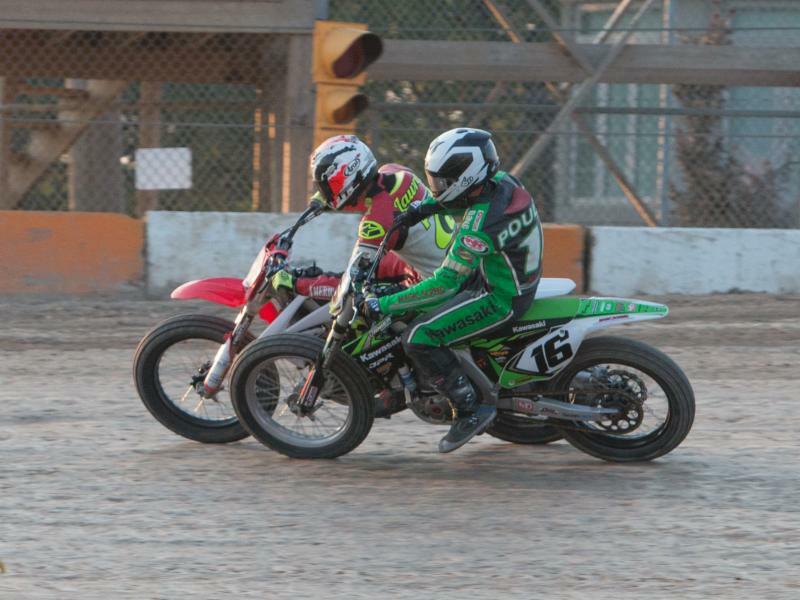 One day after round six on the oval, Ohsweken Speedway was host for round seven as the first ever TT race was held in the Harley Davidson Canada flat track series. 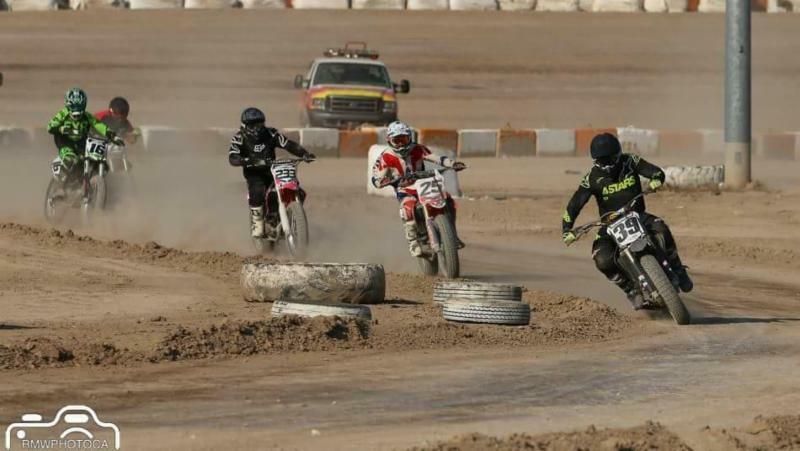 In a track that combined turns three and four of the oval as well as a right hand turn and a jump, riders were put to the test as many in attendance raced a TT track for the first time. In his first appearance in the series in years, Doug Beattie was quickest in the early practice sessions and looked like the rider to beat. 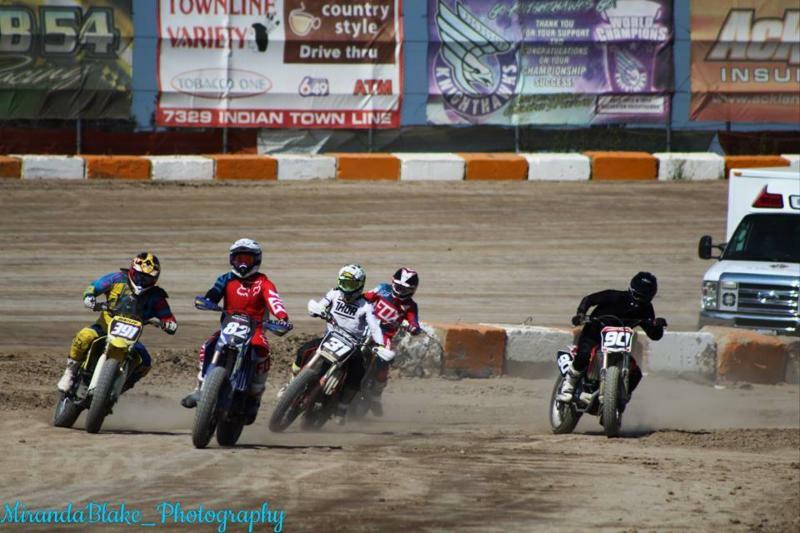 With Chris Evans sitting out the DTX Expert final after a heat race tumble, the rest of the field gathered at the line waiting for the lights to flash green. When the lights went green, Beattie grabbed the hole shot with Dustin Brown behind him and Luke Rahm holding down third. 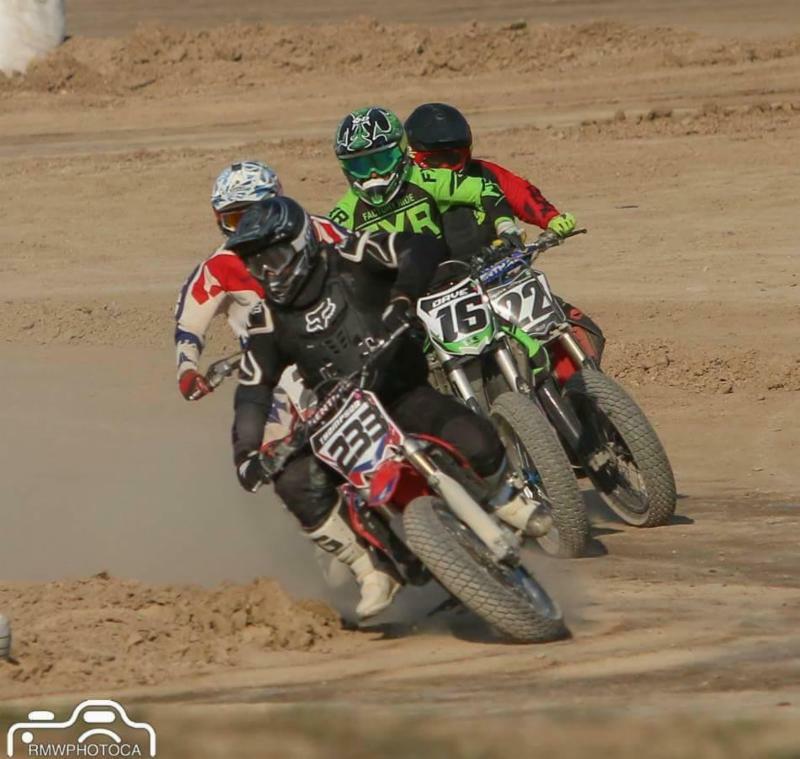 Tyler Seguin made an inside pass on Rahm in the left hand hair pin on the first lap as he did his best not to let the two riders out front get away from the field. As Beattie and Brown seemed to put a little more distance between them and third place, Brown struggled to pull alongside Beattie to challenge. Brown would make up some of the gap in point and shoot areas of the track but seemed to be struggling on the banking. Lap after lap Brown would have the back end of his bike step out and at one point even had the front wheel pop up halfway through his run on the banking. When the checkered flag was thrown Beattie had gone wire to wire with Brown finishing second and Seguin a distant third. The Open Expert final came down to two events that took place right at the start. First attempt at a start saw Beattie caught jumping and relegated to row three for the re-start. 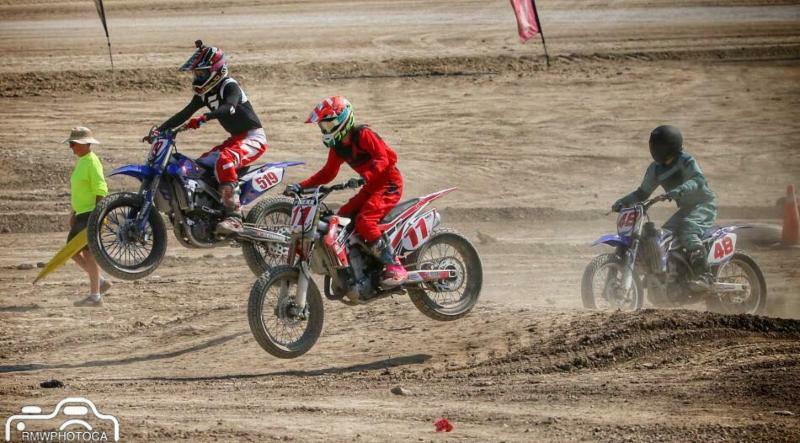 Off the second start Clayton Isherwood grabbed the hole shot with Seguin close behind him. 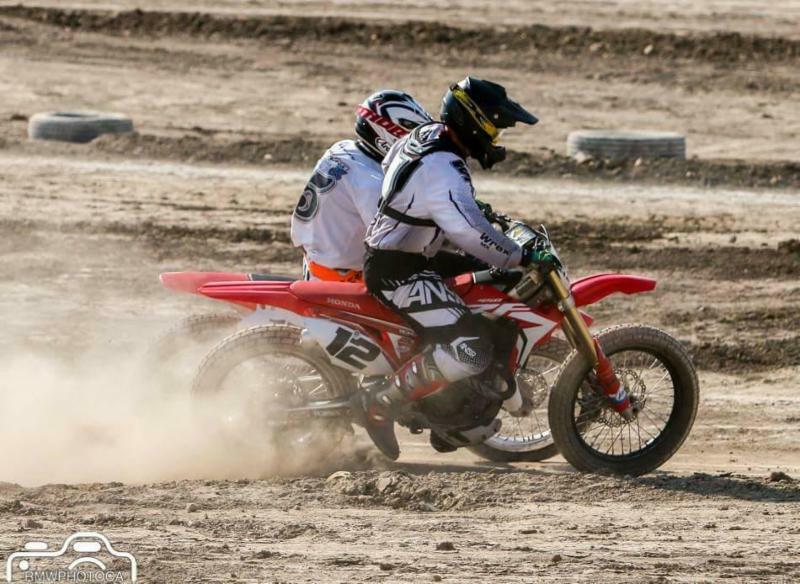 As they headed for the right hander just one corner later, Brown made an impressive move where it seemed like there was no room and took over the lead from the surprised riders. As Brown set to work checking out on the field, most eyes were on Beattie waiting to see how quickly he would make his way through the field. Beattie was fourth on lap four and one lap later made an impressive move into turn one passing Seguin and Isherwood to take over second. Seguin then made a move past Isherwood to take over third but at this point the race was pretty well decided. Try as he might Beattie was unable to take a bite out of the huge lead that Brown had built up and the final lap saw the talented youngster wheelie his way to the line for his first National series win. 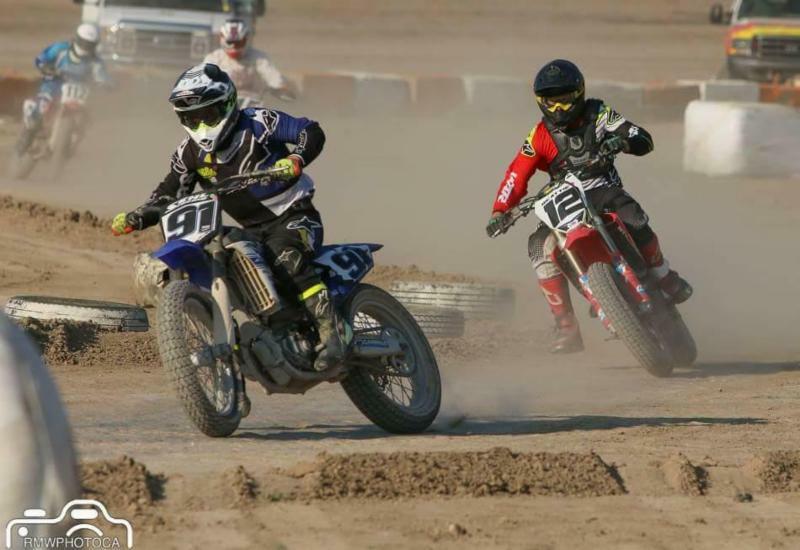 Intermediate race action saw Tyler Brown and Jimmy McCullough split feature events, while Tyler Thompson proved why he has the initials TT as he took victory in both Novice events. 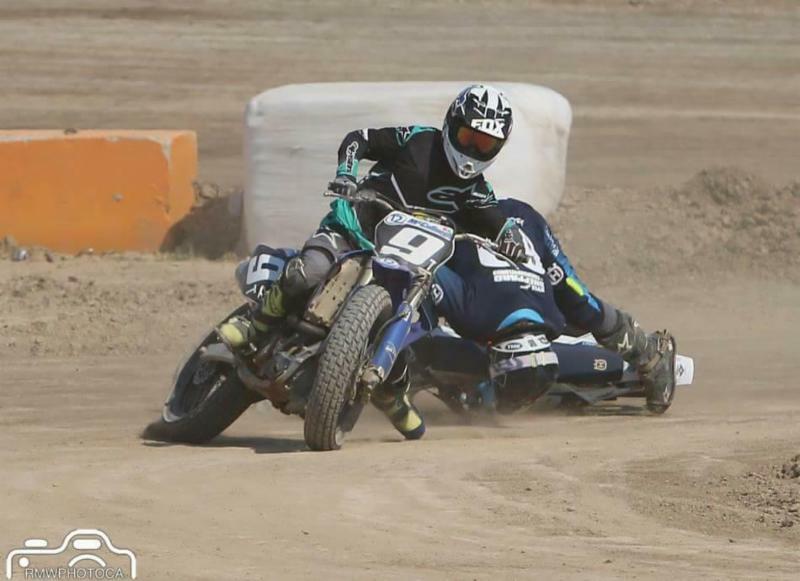 Thompson also earned hero status on this day as he pulled a motorcycle off of Novice front runner Taia Little after an incident in the right hander. Watch what you missed HERE.